What is the minimum age to rent an RV in Canada? While the minimum age for renting a car is 21, for an RV it is 25. The insurance providers for RV rental companies will not insure drivers between the ages of 21 and 24 because driving this type of vehicle requires more experience. An RV is longer and heavier than a car and must be driven with caution and vigilance. Note that there is always a deductible to pay in the event of damage to the vehicle. The deductible amount varies from one company to the next but is usually between $750 and $2000. 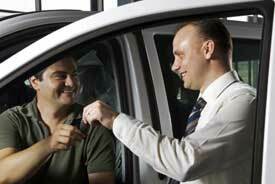 The amount of the deductible will be frozen on your credit card when you pick up the vehicle, and will be released upon return of the vehicle in the same state in which you took it.